Jack Phillips (as he liked to be known in the family) was born [1865Q2 Mile End Old Town Vol: 1c, Page: 550] and baptised Alfred John Byford Phillips on 21 May 1865 1865 at St Thomas Stepney. As a bachelor aged 26 he married Harriet Rigg (1863-1941) a spinster aged 28 on 8th August 1891 at St Pauls church Stepney. His address was 110 Jubilee Street, and hers 128 Bromley Street. The marriage was witnessed by Harriet's brother John Henry Rigg and sister Jane Rigg. Jack Phillips' father Henry Phillips and her father James Rigg were both deceased. 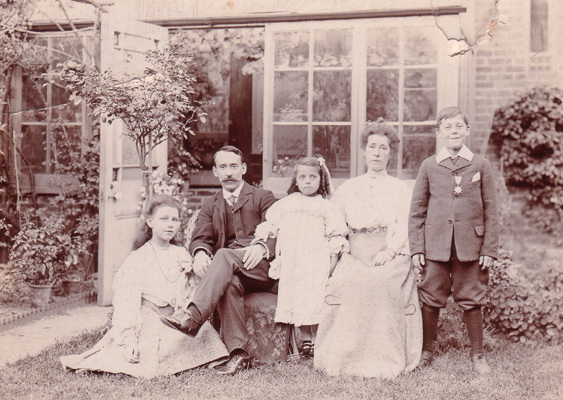 John Alfred B (Jack) Phillips became a successful businessman importing fine silks and Meissen porcelain and their house in Wanstead was full of collected items some of which were very valuable. There was a definite "don't touch" element for me as a young boy when visiting their house. I only vaguely remember Jack Phillips, the "B" in whose name was recorded as "Byford" on his marriage certificate and also on his birth certificate. Henry Phillips married Mary Ann Byford on 20 Jan 1848 at St Katharine Cree, London. Jack Phillips married Harriet Rigg(1863-1941)on 8th August 1891 at St Pauls church Stepney. John Alfred Byford Phillips became a Freeman of the City of London in 1911.
and his great-grandfather William Byford (c1750-??) became a Freeman of the City of London in 1778. 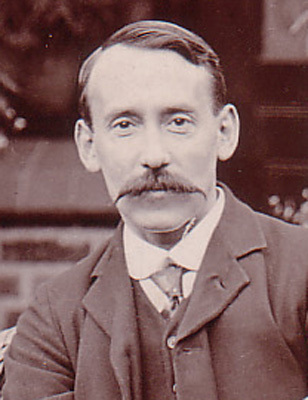 An "In Memoriam" was found in Harriet Rigg's photo album concerning the death on 29 September 1890 of Charles Byford aged 56 - possibly the grandfather of Jack Phillips? The poem looks forward to the spiritual beliefs of Jack Phillips daughters concerning the silken cord. My great-aunt's photo album also contained a photo of Maud Byford (aged about 30) dated 1904 and is dedicated to her aunt - the exact connection is unknown. In later years I remember "cousin" Win asking me about buying a colour TV which they regarded as expensive. It was funded (allegedly) by sending a complete original wrapped and unused Meissen dinner service for auction at Christies/ Sotherbys. May became a respected Christian medium and Winifred married the Rev'd Rex Eastment when she was in her forties and already an established author. Jack Phillips parents were Henry Phillips (1825-??) and Mary Ann Byford-Phillips (1826-??) who married on 20th January 1848 at St Katharine Cree [1848Q1 London Vol: , Page: ]. Jack Phillips was an uncle of my grandfather.